The Cold is Brewing but Love is Still Blooming | 11.18.17. 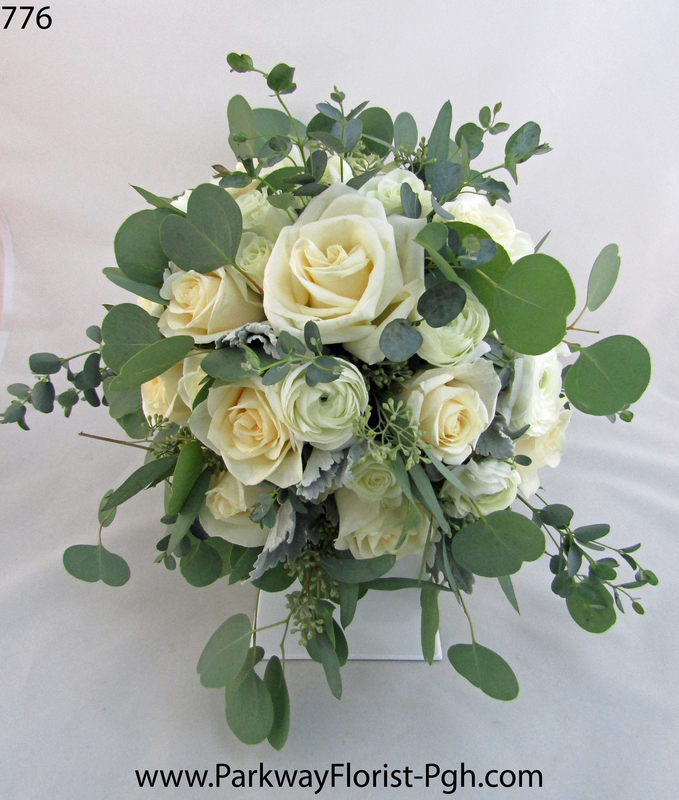 Nov 18th saw two weddings and two receptions with the use of similar flowers, but totally different results! Andrea was a Heinz Memorial Chapel bride, very formal with lots of flowers and extra touches. 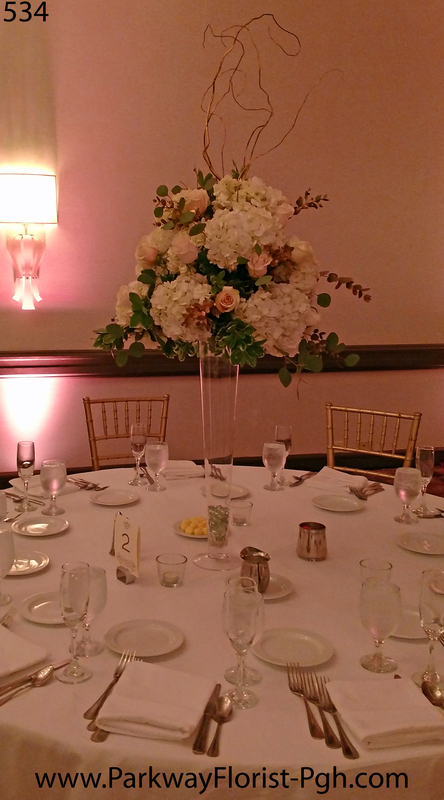 Her ballroom was decorated with large, high and short, low centerpieces. 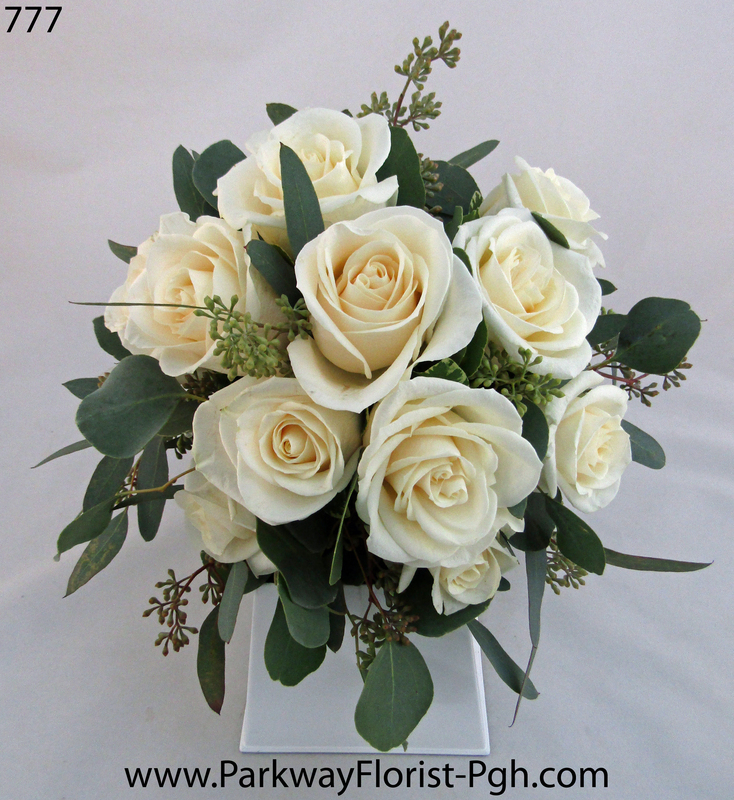 The guests were greeted by a coordinating place card table arrangement. Julie & Chris exchanged their vows in a hotel ballroom. 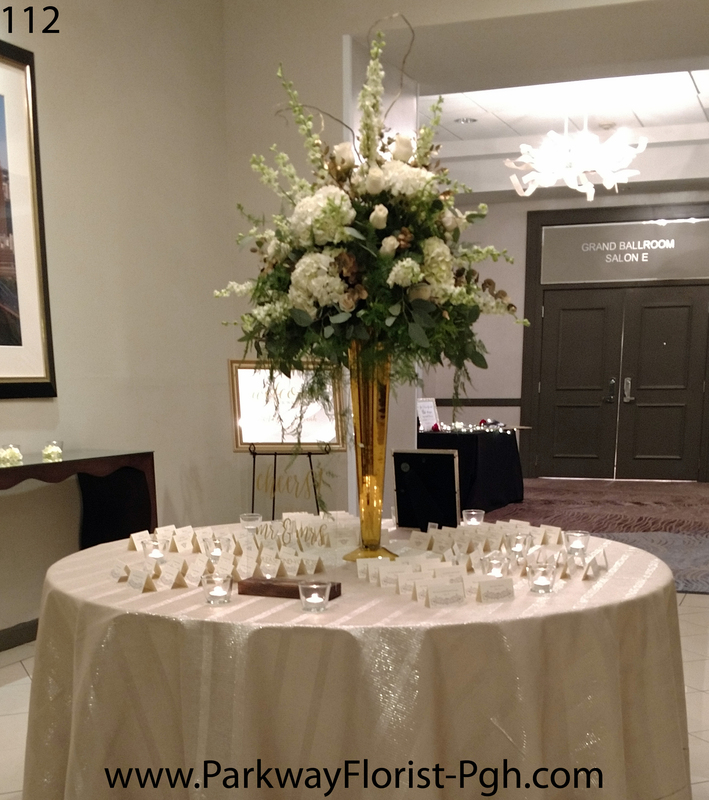 Large flower urns flanked our black sofa table, which was used for the sand ceremony display. All of the centerpieces for this wedding were low and displayed nicely against the beautiful navy overlay table linens. Our best wishes for a very happy life to both of these couples. 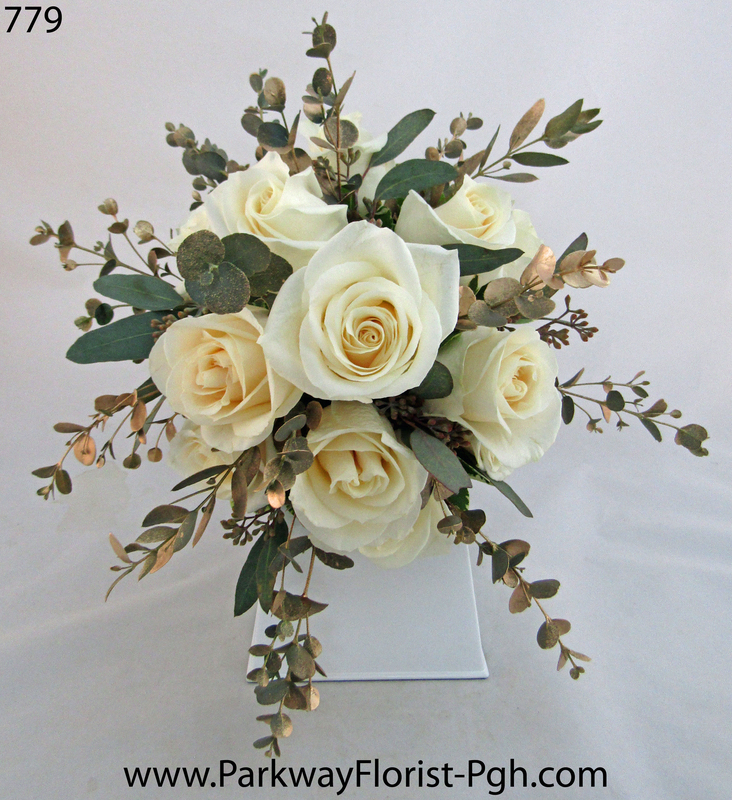 Thank you for allowing Parkway Florist to be part of your special days. 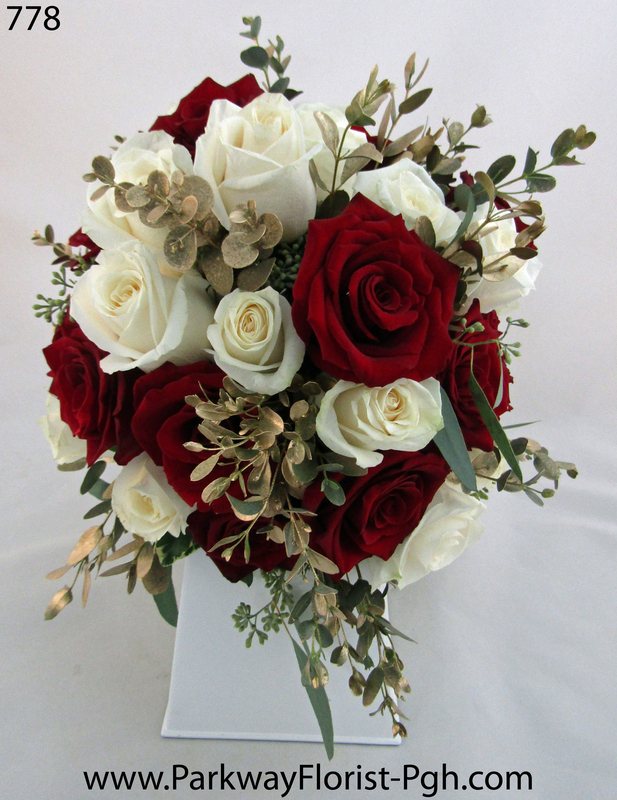 This entry was posted on November 22, 2017, in Weddings - 2017 and tagged Blue Wedding Flowers, Blush and Gold Wedding Flowers, Bridesmaid Bouquets, Heinz Memorial Chapel Wedding Flowers, Ivory and Gold Wedding Flowers, parkway florist pittsburgh, pittsburgh wedding flowers, pittsburgh winter wedding, Wedding Bride Bouquets, Wedding Centerpieces, wedding flowers, Winter Wedding Flowers. Bookmark the permalink.